Do you live in a “green” house? 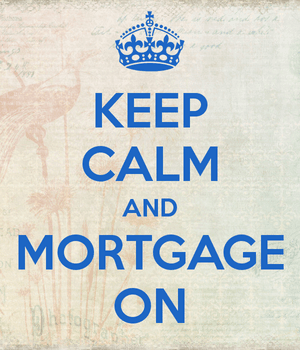 If so, you might be a better mortgage borrower, whether you realize it or not. A new study released today by the University of North Carolina at Chapel Hill (UNC) Center for Community Capital and the Institute for Market Transformation (IMT) found that owners of Energy Star-rated homes are less likely to miss mortgage payments. In fact, the numbers are substantially better – apparently owners of these green-certified homes are 32% less likely to default on their mortgages. And the more points a home receives on the Home Energy Rating System (HERS) index of efficiency, the lower the mortgage default risk. A borrower in an Energy Star property is also 25% less likely to prepay the mortgage early. So the most energy efficient homes are also the safest for banks and lenders to target. Why Is Default Risk Lower? In a nutshell, energy-efficient homes have lower utility costs, which means more money in the pockets of owners. As a result, these borrowers may be less likely to become overextended, so mortgage payments will be more manageable. The author of the study, research fellow Dr. Nikhil Kaza, noted that the amount of money spent on energy equates to 15% of the annual cost of homeownership. In fact, American households spend about $230 billion annually on energy costs, not including transportation. An Energy Star-certified home typically delivers a 20% savings on annual utility costs. Additionally, homeowners can save on maintenance costs as a result of the qualities that make a home energy-efficient. For example, high-performance windows cut down on ultraviolet sunlight, which can discolor carpets and furniture. And complete water management systems can prevent water and mold damage, along with roof or foundation issues. These green-certified homes also come with energy-efficient lighting systems and appliances, which last longer than traditional offerings. So it’s not an insignificant thing. Clearly all those savings can be passed along to the mortgage, or used elsewhere, making the borrower more financially stable. Perhaps comfort and pride of ownership have something to do with it as well. After all, a happy homeowner will stick around for a longer period of time, and probably stay on top of their mortgage payments. Mortgage pricing is generally set up to reward those who present lower default risk by offering them lower interest rates. So does that mean owners and/or buyers of energy-efficient homes should receive a lower mortgage rate? The author of the study believes it should be considered, especially seeing that it could offset the higher costs associated with energy-efficient homes. Aside from a lower rate, green borrowers could also enjoy higher debt-to-income ratio limits (because their monthly costs are lower), and lower credit score requirements. Clearly this could also incentivize the purchase of more energy-efficient homes, which is good for everyone. It would also lower the costs of such improvements. The study included data on mortgages originated between 2002 and 2012 tied to 71,000 homes in 38 states (and D.C.). Roughly 35% of the homes were Energy Star-rated for efficiency. The average sale price of a home in the study was $220,000, which the author seems to feel debunks the luxury home argument (i.e. richer people default less). There are already so-called “Energy Efficient Mortgages” (EEMs) offered by some conventional lenders and the FHA/VA, which allow borrowers to increase their loan amounts by the cost of energy improvements. Perhaps studies like this will increase such offerings and make underwriting more accommodating for such borrowers. Makes sense. Those who are more conscious of their own energy consumption and probably more responsible in a number of ways, including their personal finances. They should be entitled to lower interest rates on their loans if the trend holds true over time.